South City Square, a $600 million lifestyle precinct in Brisbane’s Woolloongabba has won the highly-commended category (Asia Pacific Region) for best mixed-use development at the 2017 International Property Awards. The International Property Awards celebrate achievement across all sectors within the property industry and are judged by a panel of industry professionals on the basis of superior performance, unique design, and innovative ideas. South City Square also picked up the Best Overseas Residential Project at the 2017 Squarefoot Best of the Best Awards by Hong Kong property media brand, Squarefoot. 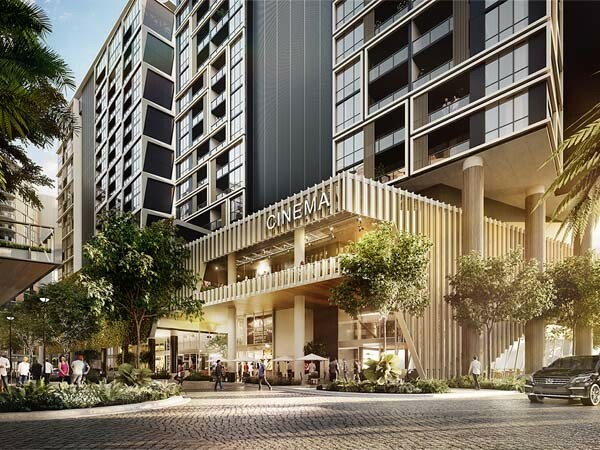 Designed by Woods Bagot, DBI Design, Oculus, and Six Degrees, South City Square provides a new lifestyle destination not only for the residents but also for the wider Brisbane population. Once completed, South City Square will feature six residential buildings and a five-star hotel. A highlight of the project is the 5,000sqm publicly-accessible city square, representing approximately 25 per cent of the entire site. A further 20 per cent of the site is earmarked for a public landscaped area and sub-tropical plantings, creating a lush green environment. Designed to appeal to downsizers to new families, young professionals and students alike, South City Square is due to be fully completed by 2022.